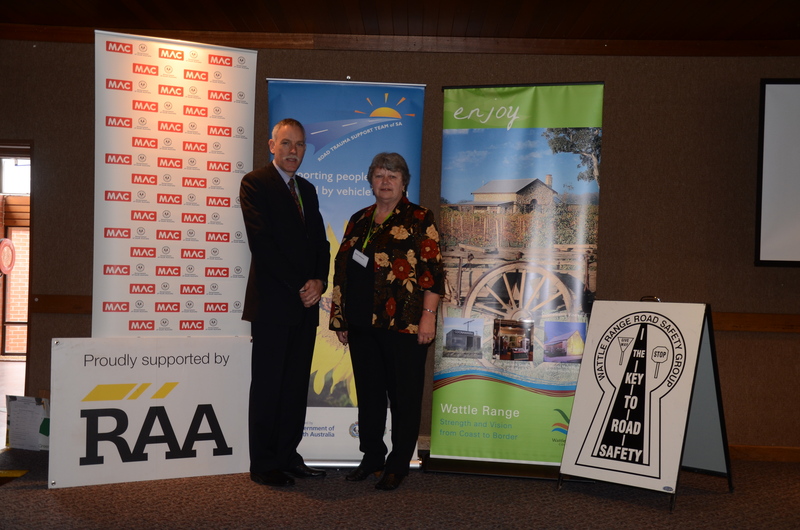 Moving on from Road Trauma seminar was held in Millicent at the Civic and Arts Centre on the 16th and 17th of November. The event was timed to coincide with the World Remembrance Day for Road Trauma Victims and organised by Dawn Williams from Rendelsham. Approximately 80 people attended, some travelling from Adelaide and interstate. Guest speakers included representatives from:- SAPOL Accident & Investigation, SA Ambulance Service, Road Trauma Survivor, Road Trauma Support SA, SAPOL Heavy Vehicle Investigation Team, Trucking Industry Representatives, Director of Emergency Department Mt Gambier Hospital, CFS Representative and Chief Magistrate’s Officer and Commissioner for Victim’s Rights Michael O’Connell. Speakers also included survivors of Road Trauma and those affected by the loss of family members through Road Trauma. Moving on from Road Trauma was launched at the Millicent & District Community Club Friday night with a meet and greet evening with the remainder of the weekend being held in the Civic and Arts Centre Millicent. 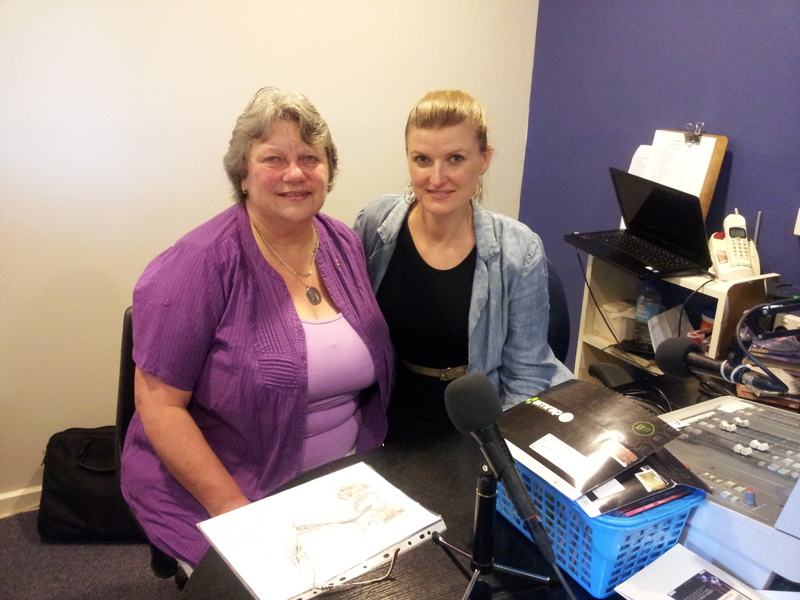 Dawn Williams was interviewed at 5 THE FM by Rebekah Lowe on the eve of Moving on from Road Trauma. 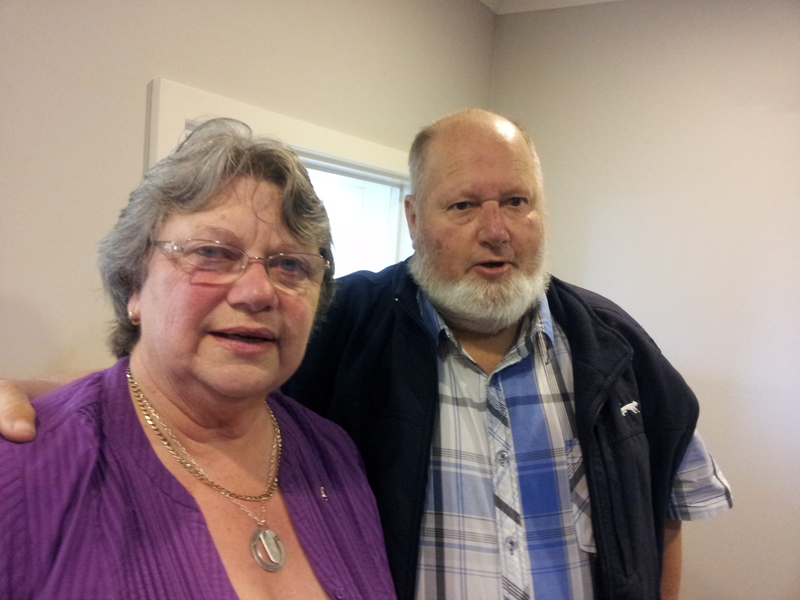 Organiser Mrs Dawn William told her personal story on 5 THE FM on the eve of the event and at the Road Trauma weekend. Dawn and her husband lost both their children tragically to road trauma. Their lives, like so many others, have been changed forever. “You never get over it you only learn to live with it. ” she said. Dawn and Arnold Williams lost their daughter to a road accident when she was only 19 years old and they thought nothing like that could ever happen to them again. Dawn said that it was the worst thing that she could ever face but some years later she received a call from her daughter -in-law Heather to say that her son Daryl had been killed in a road accident. She recalls being in Foster’s car park and collapsing, she was rushed to the hospital because she thought she was having a heart attack but when she got to the hospital, they told her that it wasn’t a heart attack – her heart was breaking! Two weeks later husband Arnold suffered a massive stroke. Dawn said that she found the Legal process very difficult. Long trips to Adelaide for court hearings only to find that they had been cancelled at the last minute and things like this were very trying. Arnold could not go because the trip was too much for him and he was still in recovery from the stroke. “Our children are now no longer with us to be part of our lives, to talk to, to share and to be able to support them in their daily lives, and we will never be called Mum and Dad again”. 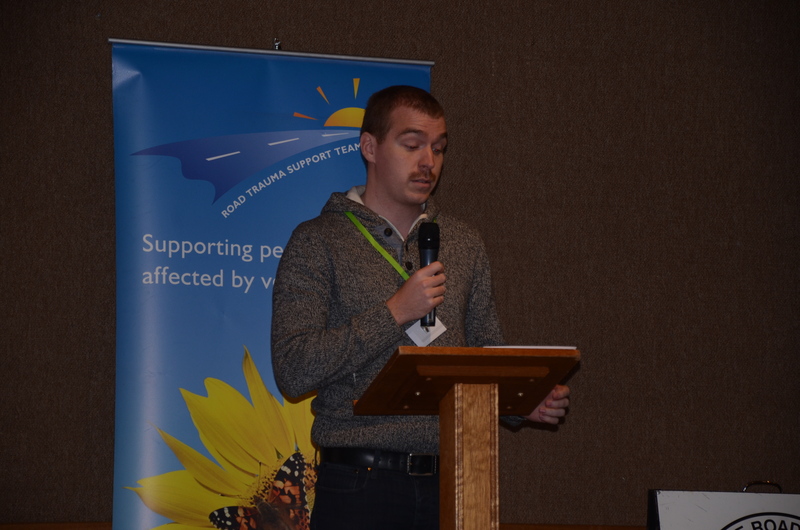 Jack Annear addressed the Road Trauma event. Jack remembers very little about that night and the crash, with two weeks lost from his memory while he was in a coma. His Mum and Dad waited for three or four days after he came out of the coma to tell him some of his friends had not survived the accident. Jack said he had shocking, painful injuries; he unable to move his neck and leg. He also had internal injuries, brain bleed, cerebral bleed, and fractured neck, ruptured inferior vena cava, ruptured liver, and fractured right femur and compound fracture of his tibia & fibula in his right leg. “It was a long road back to recovery” he said and he is still recovering from the accident. Jack message to all drivers is a vehicle can be a weapon in the wrong hands. “What happened to me, and not just me, but to others who have spoken here today ……… it should never happen to anyone”. “Please drive safe”, he said. Arnold Williams spoke to 5 THE FM on the eve of the Road Trauma event and described the loss of his son and daughter. Arnold has recovered well but has short term memory loss and some balance issues which has meant many changes to his and Dawn’s lifestyle. “I’m glad I’m as good as I am, I know others have not recovered so well, but its still hard,” said Arnold. I asked Arnold what his role was in the ‘Moving on from Road Trauma’ weekend. Those affected by Road Trauma gathered to remember. Dawn spoke with 5 THE FM after the Moving on from Road Trauma weekend. “It was amazing, better that I could have hoped for. The speakers were amazing and hearing how it affects the personnel from the different organizations every time they deal with a road accident, really brought it out in the open just how many people are affected each time there is an accident. I asked Dawn what she personally got from the weekend. Contributors: Belinda Elton, Dawn and Arnold Williams. Attention: The full speech made by the Commissioner for Victims Rights for the Moving on from Road Trauma Weekend follows this article. Categories: Community Groups, Events, Human Interest, Millicent, Wattle Range | Tags: Commissioner, Dawn Williams., Road Trauma weekend | Permalink.